Maybe it’s seen better life and about ready for the trash, but don’t toss that nasty old thing yet! There could still be purpose for an old tube bird feeder, especially if it’s the kind enclosed by a cage. 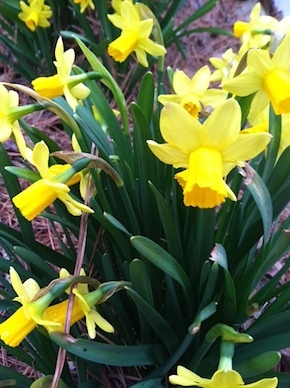 With bulbs a- blooming and buds a- popping, spring finally takes flight… at least in the southeast. It won’t be long for the rest of the country either, and oh what a welcome site it is! Cabin fever be gone, it’s gardening time, spring cleaning in the yard, and one of the best times for backyard bird action! When sprucing up, don’t trash the debris either! Consider a small brush pile in one corner of your property, it not only provides shelter but food for birds and others to forage. So back to the cage thing, it’s absolutely perfect for offering nesting materials. 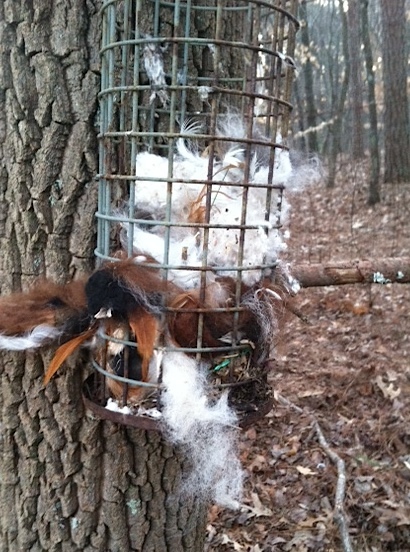 You can help birds feather their nests with a few common materials that may be on hand. Fido or fluffy? Save the hair, chickadees and titmice will line their nests with the soft fluff. 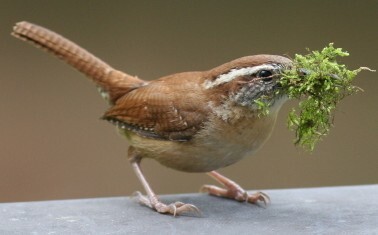 Decorative mosses are really popular with Carolina wrens, jays and chickadees will use them too. Lots of folks use cotton yarn scraps, but if they’re dyed… I dunno? Same with dryer lint, it’s not natural for birds, so we steer clear. Feathers of any kind (sans the dye) also help in construction of soft fluffy digs. Even birds who don’t use houses will benefit from readily available nest materials! Don’t have one of those caged things on hand? Suet baskets are also ideal, and something like these spring feeders are perfectly versatile for year-round use. For fruit in summer, whole peanuts or suet in winter, and of course, nesting materials now. Happy Spring y’all! Tired of lamenting over the neighbor’s cat, I decided to ask an expert birder if he could identify the predator by the formation of feathers left below the feeder. It’s a groovy tube bird feeder in a mod design that accommodates thistle or sunflower seed, ours is filled with the latter. Varied species frequent it, and even though cat birds don’t go for sunflower seed… I believe that’s who the casualty was in this case. To me, he’s a wealth of knowledge on all things birding and nature related. Not sure if he’s blogging himself, or has ever written professionally, but his stories fascinate me. So I asked Mr. Keith Kridler of Mt. 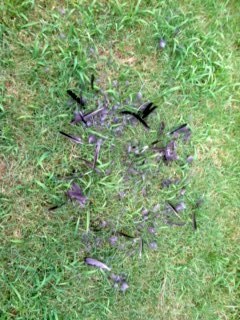 Pleasant, Tx, if he could tell by the formation of these feathers, who was the predator here? Did it look like the work of cat or hawk? Even though there’s a 50/50 shot at the correct answer… he couldn’t tell me with 100% accuracy. He did however mention certain clues to look for, and that a bit of further investigation might reveal my answer. The next day there was a post in the forum, which he so kindly allowed me to share. It makes for most interesting reading if you’re into birds! Check his view in the last sentence too, so true, so true Keith! “Jack Finch, Bailey North Carolina would get up every morning about 4:30 AM and sit outside and enjoy coffee while listening to his bluebirds wake up. Bluebirds during the heat of summer are more vocal in the pre-dawn hours and each male will belt out territorial calls from their roost tree. By listening every morning, Jack could tell if something or more likely some predator had forced one of his pairs of bluebirds to shift their roosting locations. You can tell the “morning after” a brood of bluebirds has fledged, because that pair will NOT be calling from the nestbox location. They will be frantically calling and singing to locate all of their young that survived their first night out of the nestbox! This new location maybe several hundred yards from their nest! For the next week or so their normal “sunrise” songs will be controlled panic calls! You can hear in the pre-dawn hours if you have a pair of bluebirds that are about to begin another nesting attempt. They will be singing and calling near their chosen new nest site. This is to warn other pairs away and or it might just be a new/single male bluebird trying to attract a female, since he is bragging about a new nestbox/new habitat that he is now holding. By sunrise any other nearby male bluebirds will fly to the edges of their territory and they will also fire up in song and there may be four or five different males singing their versions of “Dueling Banjo’s”. You can locate them with the first light, as they will be in the tip tops of trees, right at the edge of their territory. They will be singing and wing waving, then warning chatter if another male or pair of bluebirds is too close. They will be bouncing up in the air about 10 feet, then sailing back down flashing their wings to show off their blue feathers. Colors are more intense just as the sun is clearing the horizon or about to slip down out of sight at sunset. On occasion there will actually be fighting, between birds, by July this morning ritual will seldom go beyond a short dash from the dominant male bluebird, chasing a challenger back a few trees. Maintaining “Pecking Order” in different species is fairly complex! It sometimes is even harder to adapt and or re-arrange pecking order in a group! Think about when a Beauty Queen or Sports Jock moved into your small town from another state when you were growing up! Same goes for a new lead singer into a small church choir, or new management personnel at work or heaven forbid a political change! This is all “Pecking Order” issues that have to be worked through, in the birding world, the individual birds will settle this mostly by singing and bluffing. At some point in every yard this pecking order will change off and on all summer long. In groups of humans you seldom see a change near the top of the pecking order that does not result in someone getting their feathers all ruffled up and by the time the dust clears, then the new pecking order has been achieved, that one or more at the top of the pecking order will have moved to another group. Normally there is no change in the middle and or bottom of the pecking order in a group or flock. Many of the bird/animal species have evolved to move and feed in “flocks”, by doing this they can simply crowd out the other non-flocking species while they dominate a food source. Big flocks and or groups have to constantly be on the move though, as they will deplete the food, water and habitat. Some people say that the “flock” of Passenger Pigeons was around 6 Billion strong and that there were more than 40 Million Bison still roaming freely across North America in 1814. These were replaced at the top of the Pecking Order with domestic chickens and cattle by 1890. So What’s the Best Tube Bird Feeder for Spring? With spring in bloom (in much of the country anyway) there’s an instinct among nature types to get outdoors and work in the garden! 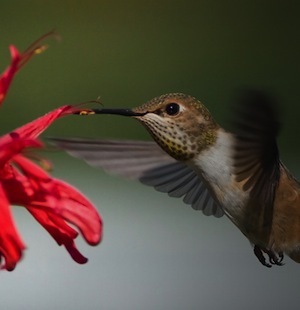 For many, wild birds go hand-in-hand with love of gardening. Like the “eyes bigger than stomach” syndrome at a restaurant, heading into nurseries can easily turn into more than one bargained for! We know this first hand, as flowers sit in the driveway waiting to be planted. 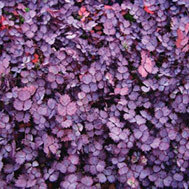 Luckily for perennials like these crocus, color emerges effortlessly year after year. It also signals the beginning of nesting season for resident birds, and the migratory start for our southern feathered friends. On the birding side, it’s a perfect time to give feeders a good cleaning, check birdhouses for old nests and clean them out too. Avoid leaving old nests on the ground near birdhouses as this attracts predators. Lots of fancy cleaners on the market, but a solution of bleach and water (1:10 ratio) is ideal. Scrub, rinse well, air dry… pretty simple. If you’re just getting into the birding thing (lots of folks are these days) – where to start? So many feeders and gadgets out there! Fresh water and a tube bird feeder are a great place to start! All birds are attracted to fresh water, be it a traditional birdbath, or simple pan of shallow water. Shallow’s the optimal word, 2-3-inches maximum is recommended. Something with texture too, as bird’s feet can get a better grip. Small rocks or pebbles in the bowl help with landing and perching. So, what’s the best tube feeder? Like the bath, or anything else for that matter… it’s the one you will maintain! Feeders need to be filled fairly consistently, as well as cleaned. 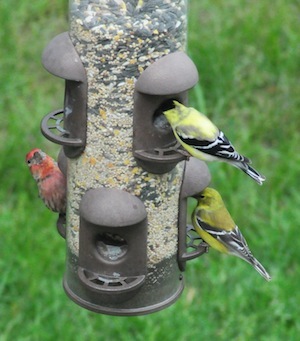 Wet, moldy seed serves no purpose at all, and birds will quit visiting a feeder with nasty contents. Plus it can spread disease among the local avian buddies in your yard. Consider who you’d like to attract too. Thistle or nyjer seed is made for tube feeders, they have tiny ports for this tiny seed. Goldfinches, house and purple finches, siskins, buntings and redpolls enjoy thistle. 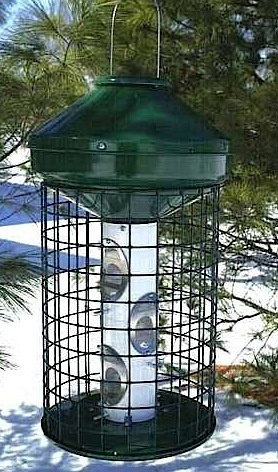 Say you want a more “all-around” type feeder for chickadees, titmice, cardinals, nuthatches and some of the other usual suspects? You can’t beat a tube feeder with sunflower seed! It’s popular among many species and a great choice for a first or only feeder. Some offer generous seed trays that make it easy for cardinals to feed. Although there are some general thoughts as to who will eat where, this winter proved all bets were off! Cardinals seen eating at suet feeders, juncos at sunflower feeders, and some other strange sightings due to the extreme weather. The other really nice thing is that you can buy this seed sans the shell. Sunflower hearts (or meats) is a waste-free food that leaves hardly any ground mess. Whatever should fall to the ground is usually gobbled up by ground feeding birds like doves, juncos or chipping sparrows. It costs a few dollars more, but we think it’s well worth it! Cheaper seed leaves more waste because of the fillers most birds peck out and discard… so where’s the value? 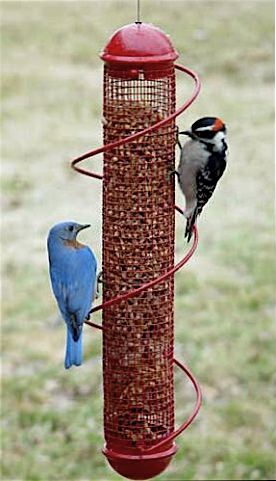 In choosing a new tube bird feeder, pick one with sturdy construction that you know will last. 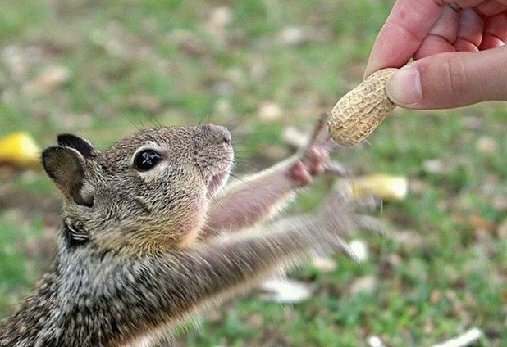 Although inexpensive, plastic isn’t always the best choice as squirrels can and likely will chew it to bits. Ceramic is chew-proof, as is copper, stainless steel, and many of the newer materials used to hand craft or manufacture quality bird feeders. Fuzzy picture but great subject matter! That’s Mr. and Mrs. Bluebird again, and tonight they coaxed their babies to the feeders. Of five fledges, two are out and about so far, and mom and dad have claimed the same house for nesting number two. All those feeders hang from one garden pole, plus an extender branch (which hasn’t even made it to the website yet). 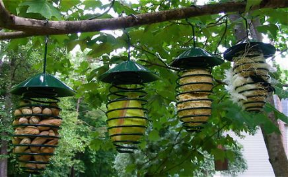 They’re great for hanging additional smaller items and give birds lots of perching space around feeders. Last year a small hanging bath was added to the branch. 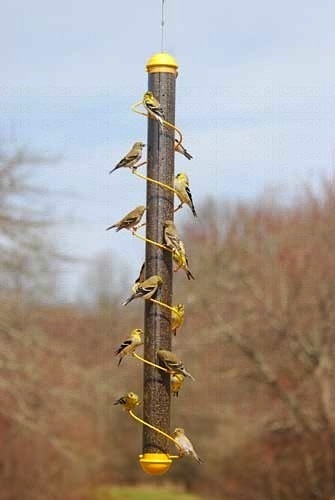 What are all those feeders, and do you think anymore would possibly fit on this pole? Three dishes for mealworms… they’re most popular this time of year as everyone is feeding babies! 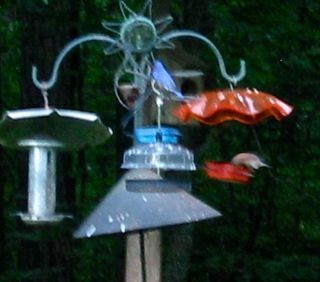 Cardinals, Catbirds, Nuthatches, Chickadees, Titmice, Phoebes, Carolina Wrens, and of course… the bluebirds. The meal worm grower loves me 🙂 The dark little cup… jelly for the Catbirds. 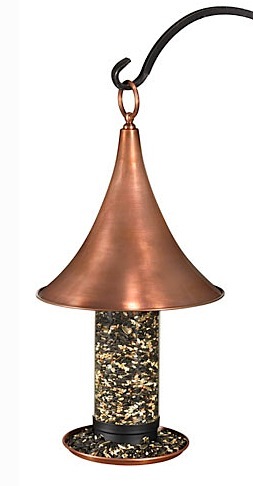 And of course the cone shaped squirrel baffle, it’s a must on every feeder pole around the yard! 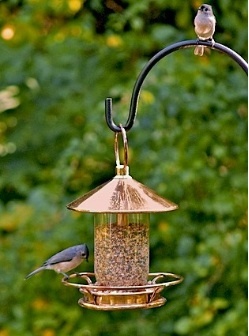 The silver silo, or tube bird feeder sees little activity as compared to the worm dishes. 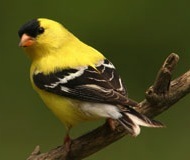 It’s filled with Finch Mix, but Goldfinches seem to prefer straight thistle this time of year. Why? Babies! Their diet is pretty exclusive to the tiny black nyjer seed. Another tube feeder containing shelled peanuts is seeing some action, but the worms win hands down! 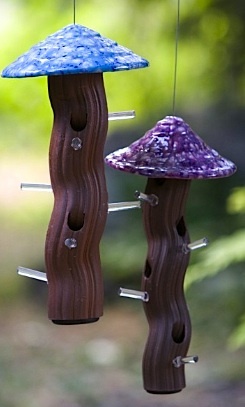 And speaking of tube bird feeders – have you seen the spiral ones? They’re way cool as more birds get to perch and eat at once. The tubes feature an “all-over” feeding area, and the spiral allows birds to land and eat anywhere on the feeder. No more waiting for an open perch. Available for peanuts, thistle, or mixed seed. Next time you’re in the grocery store, pick up some grape jelly for the birds. That dish is actually a glass votive holder, but works great for offering jelly too. And don’t forget the oranges as Orioles love them too. Spring may have sprung a little late this year, but the bird show is definitely on!